For your child, it is never too early to develop good oral and dental care habits. In fact, the quicker they learn, the healthier their teeth and gums will be. 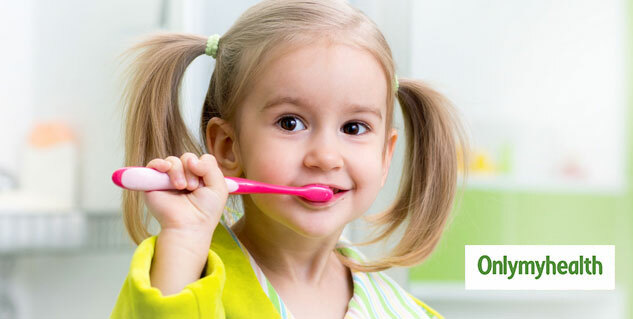 You should inculcate healthy dental habits in our kids from the earliest. Here are 5 tips for you to develop healthy oral habits in your kids. Oral Hygiene is crucial for children. You might know brushing our teeth twice a day is very important for your overall oral health. It is the best way to get rid of germs and food bits stuck in between teeth. But brushing alone is not completely effective. Using a dental floss will help in removing unwanted food particles stuck in the gaps. For children, it is more important because they eat a lot of sugary snacks like candies and desserts. If these particles are not removed, it can build up germs in the mouth causing tooth cavity, bad odour, and weak gums. Brushing and flossing are essential to keep the teeth and gums healthy but if not done in the right way, it can actually turn out to be harmful. Children should be taught the correct way to brush and floss their teeth from a very early age so that these habits are inculcated well and right. Brushing in small, gentle circles instead of vigorously moving the toothbrush back and forth ensures better cleaning and also keeps their teeth safe from over-brushing. It also ensures that there is no bleeding or damage to the gums. Just like brushing, flossing also requires a lot of attention and care. Learning the right techniques will help your children in maintaining a good oral environment. An oral care routine can get quite boring for children. To make things interesting, you can give them products that are specially designed to make brushing sessions more fun. Flavored toothpaste and colorful toothbrushes in different shapes can attract your children and make them brush every day. Toothbrushes are a breeding house of many different kinds of bacteria. 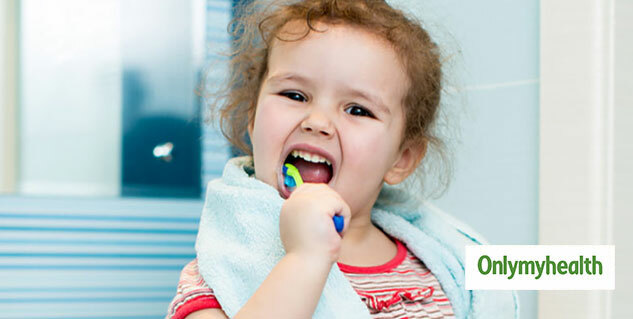 To protect your kids from those bacterias, it is necessary to replace their toothbrushes after every three months. Children are more susceptible to infections from these bacteria than adults. Thus, to keep oral infections away, change their toothbrushes at regular intervals. An expert is the best person to evaluate your child’s dental health. Go for regular checkups to your pediatric dentist to ensure that your kid’s oral health is in perfect shape. Children have a lot of sweet treats. If they do not rinse their mouth well after every meal or brush their teeth twice a day, they can develop infections and tooth cavities. These can only be detected by timely check-ups. So, instead of waiting for a gum bleed or pain in your child’s mouth, you must visit your dentist at least twice a year. Dental and oral care doesn’t have to be intimidating for your child. Keep it fun and simple for them. Explain to them the need for proper and regular dental care and help them inculcate these habits in their daily routine. Inputs by Dr. Karishma Jaradi, Head Dental Surgeon and Aesthetic Dentist, Dentzz Dental Care Centres.